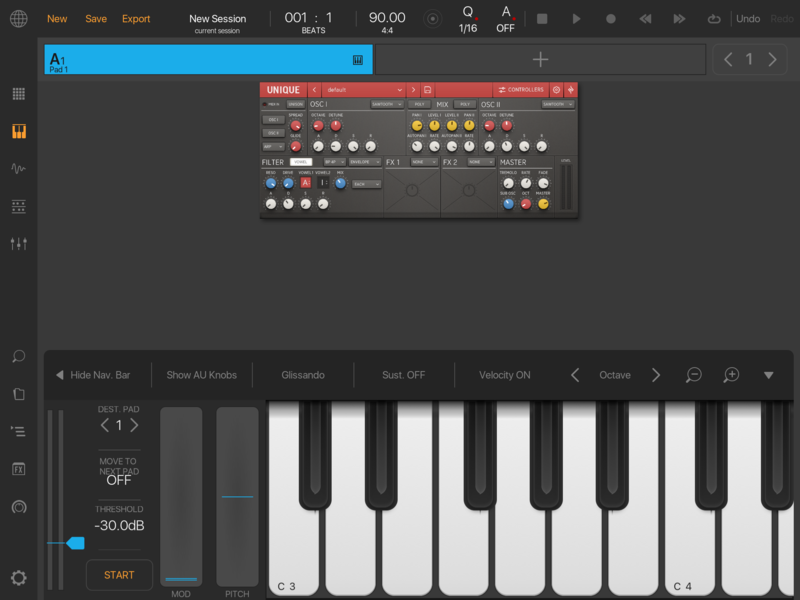 Sugar Bytes' tasty looking Unique synth just updated.. dropping IAA completely in favour of newly added AUv3 support. Don't bother with the universal version, it's tiny in BM3. Wait, that’s the universal version? See, I didn’t realize there are two versions, an iPad only version for $15, and a "universal" version for $5... I don't see why two exist at such different prices. With AUv3 support in both of them, I would definitely just go for the $5 "universal" version, even if it's super tiny on the screen. If you load that one up standalone, does it go full screen iPad mode? Or does it run in iPhone 2x mode? I was going to pass on this until I became very convinced of its awesomeness, but now I'm more inclined to pick it up at $5. 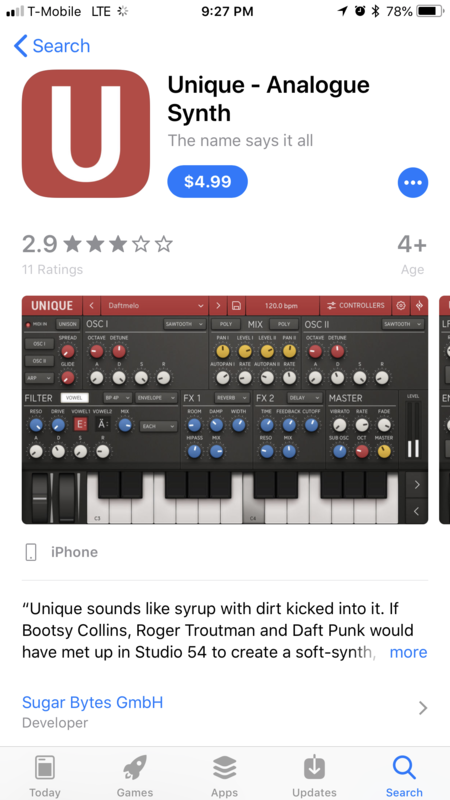 I put "universal" in quotes, because while the app store description says it is compatible with iPhone, iPad, and iPod Touch, it only has screenshots for the iPhone, whereas most universal apps have screenshots for both iPhone and iPad. I thought universal meant iPad, iPhone and iPod touch support, I wasn't aware of screen resolution criteria. Can someone point me to a official Apple definition of universal please? If you launch the version you bought standalone, (I'm assuming it was the $5 one?) Does it open full screen or is it iPhone size, or double iPhone size? Yes it's confusing. The iPad version only open on iPads but the other version opens on iPhone, iPad and iPod touch. There was an AB Forum thread where someone from Sugar Bytes mentioned the clunky ipad/iphone release back in the day. It is weird that the scale issue of the iphone version got so much worse on the iPad with this last release. It did used to be usable. I think Sugar Bytes needs to cut their losses and simply make both versions universal, properly scaling versions and match the prices. It is not so much that I care too much about Unique specificly but moving forward they should get their ducks in a row with what the heck they are doing before they get to the sacred Egoist or Turnado AUs. 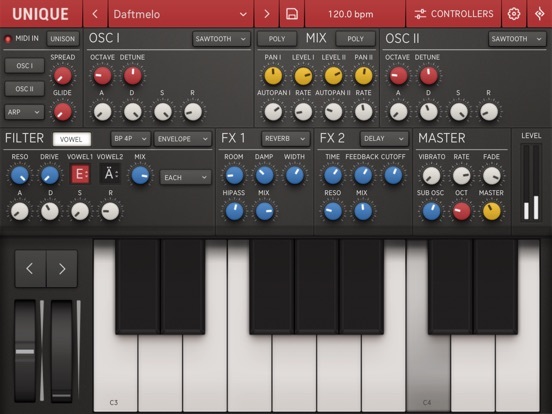 As someone who doesn't own this synth yet, is it worth me buying the iPhone/universal version now at the reduced price, in the hope they make all versions scalable and the same - or is that a bit too cheeky!? I would just hold off till the dust settles. I can't find any official mention, but what we used to consider a "universal app" has changed. Universal used to mean the app had a fully designed interface that looked good on both iPhone and iPad and didn't do the iPhone scaling when run on iPad. You could always run all iPhone apps on iPad (maybe there were some exceptions, I dunno) but if it wasn't universal the app would run either 1x or 2x iPhone mode. I'm guessing part of why "universal" changed was due to the addition of Apple Watch and Apple TV apps. An app isn't really universal anymore if it only supports 2 of the 4 or so devices. 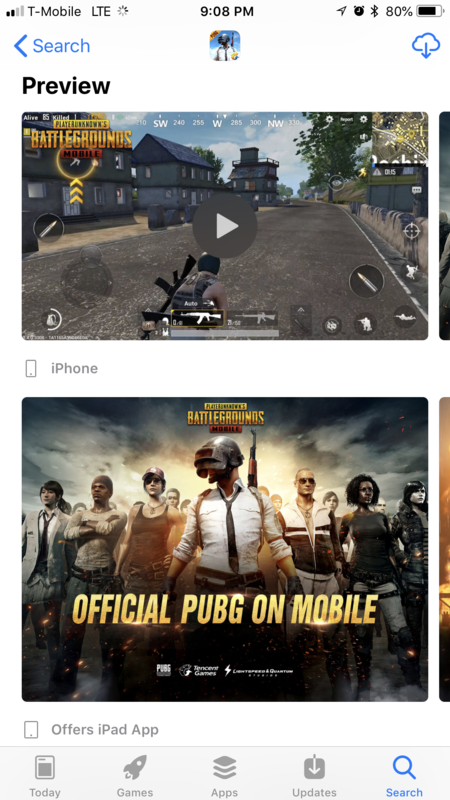 Now, the best way I can think of to make the determination if there is or isn't full support of a device is looking under the app preview for the other devices to be listed. That said, I'd totally still buy the iPhone version to save $10. 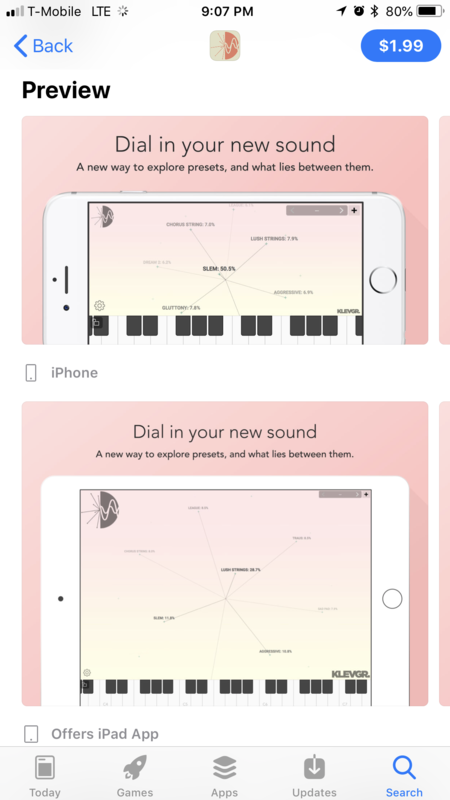 I don't mind a small low res interface if the sound is the same. It just got updated and the scale issues are all fixed. So the $4.99 iPhone version is as good as the $14.99 iPad version when used as AUv3? The three minutes I spent with it seemed to indicate that. But I feel a bit dishonest doing it..